In the 1920s, architects educated in Europe brought the Tudor look to the East Coast. These grand homes were known as Stockbroker Tudors because the financially successful clients they were constructed for had made their fortunes in the stock market. If you built a Stockbroker Tudor, you were making a statement about not only your stability and wealth but also your sophistication and taste. 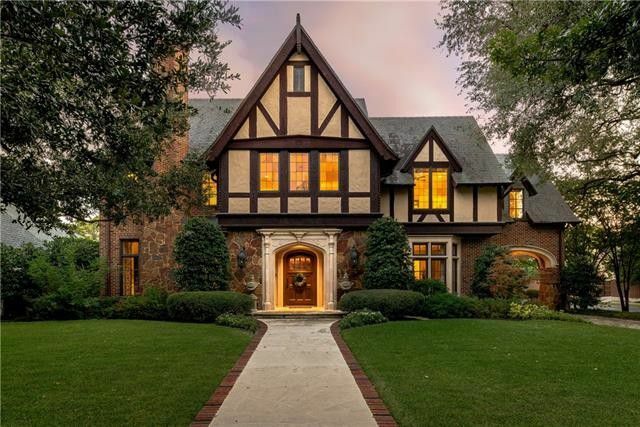 When I spotted this gorgeous example of Tudor architecture at 3545 Hanover Street, listed with Jonathan Rosen of The Collective Residential for $3.95 million, I was sure it was original. The steeply pitched roof, embellished doorway, and the second story with stucco and decorative half-timbering are the distinctive hallmarks of a 1920s Tudor. A recent question in Quora posed, how do you find a home in this tight RE market before it hits the market? Answer: Christy Berry. Berry tells me she has a hip pocket that is to-die-for great on Centenary in University Park that you might want to take a gander at: five bedrooms, four and a half baths, entertaining space galore and one of the prettiest HP pools I have seen. Asking is $2,349,000. There are 5320 square feet of updated finishes with a large, bright kitchen, eat in breakfast area, and spectacular family room. Formals, of course. The second floor has all five bedrooms including the master suite, spa bath and laundry room. French doors open to the back yard, which is turfed, with a brand new pool and outdoor grilling area. There is potential for a finished third level and hence more square footage. This is Centenary: everything is an easy walk to the delights of Preston Center: Sprinkles, Swoozies, R&D Cafe, etc. Course, that was a different market. We are talking January 2011. He plunked the contract on January 25, closed 3 days later. His Gillon home had been listed for $6,200,000 but he got it when it had been reduced to $4,400,000. Wow. The home, like the Hicks previous home on Beverly, was designed by Larry Boerder, built by Cy Barcus, who rocks. (They both rock!) The home is country French design on a huge corner lot, heavily treed. Smart: the master bedroom is downstairs, and opens to a private garden area. I love the master study and library, panelled in warm pecan wood. There is also a second bedroom downstairs, then three bedrooms upstairs with a game-room for a total of five bedrooms, five full baths and a couple powder rooms, plus six fireplaces including one outdoors. The main house has a great room, morning room, family room, a project room, both stone and wood floors. There is an apartment over the three car garage. And there is a swimming pool, of course. 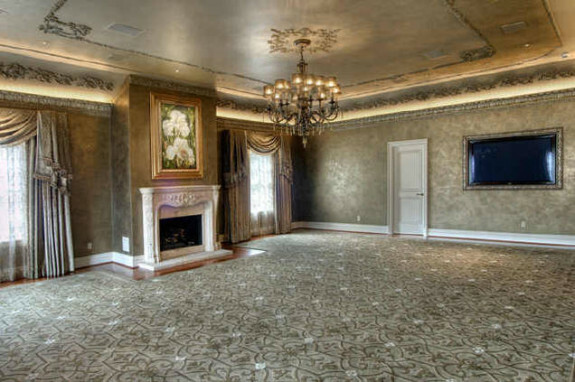 I have heard that Andy has not changed it much since he bought it, and really, don’t you see why he loved Walnut Place (The Crespi Estate) so much? 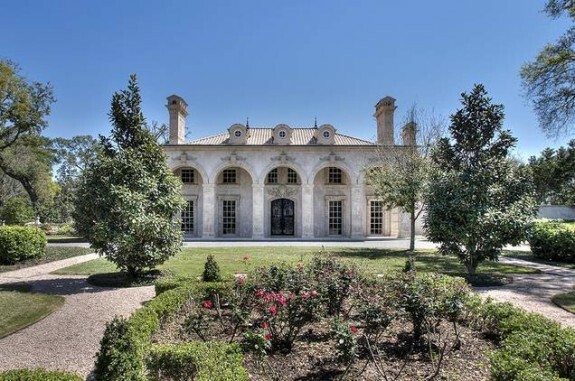 Very similar traditional style, just a bit larger: this home is 8673 square feet on half an acre. He’s moving to 25.5 acres and almost 50,000 square feet! 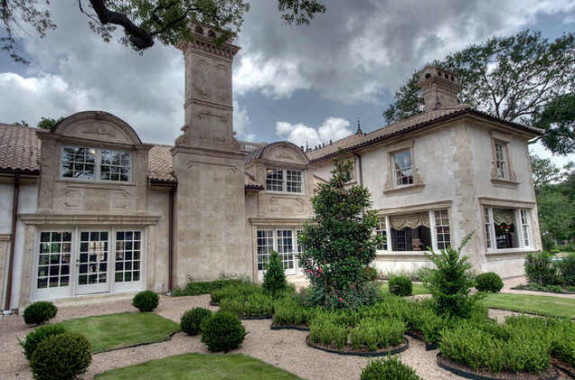 Where Did Tom and Cinda Hicks Live Before They Bought the Crespi Estate, aka Walnut Place? They lived on Beverly Drive in Highland Park, at 3640 Beverly to be exact. The beautiful, 9,874 square foot estate built in 1985 was on almost one acre of prime Highland Park dirt, featured six bedrooms, six full baths and a couple powders, eight fireplaces (apparently the Hicks really love a fireplace in every room), formals, a grand entry with a double stairway, formals, kitchen with morning room, both a Butlers and walk-in pantry, the master suite had a sitting room and exercise room and his and her baths (as does Walnut Place), a third floor with two bedrooms and bath, plus huge 1808 square foot quarters/cabana and a pool, arbor, fountain. The home took a little time to sell, but sell it did courtesy of Allie Beth Allman. Over the weekend I heard that Allie Beth has known the Hicks since 1984, been his agent all that time even through a second marriage. There is a lesson for agents here. Also, the home was designed by Dallas starchitect Larry Boerder, who also was the architect for Andy Beal’s home on Gillon. 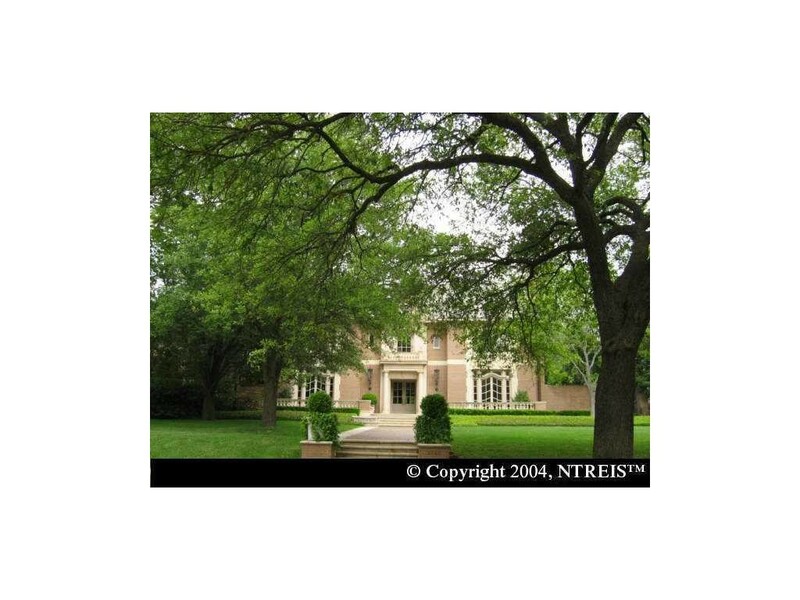 So both billionaires lived in Larry Boerder-designed homes before they bought Walnut Place, the Crespi Estate. The home sold in October of 2004 for $7,900,000, which was asking price. It is now owned by Charlotte Jones Anderson, Jerry Jone’s daughter. Realtors know it, builders know it, sellers know it, and you can be sure buyers pay attention to it, too. Curb appeal is an essential component to selling a house. Whether viewing a house online via photos, or driving through a neighborhood, the first impression is made from the street and with the landscaping. Of course, our friends over at Harold Leidner Landscape Architects certainly know this well. 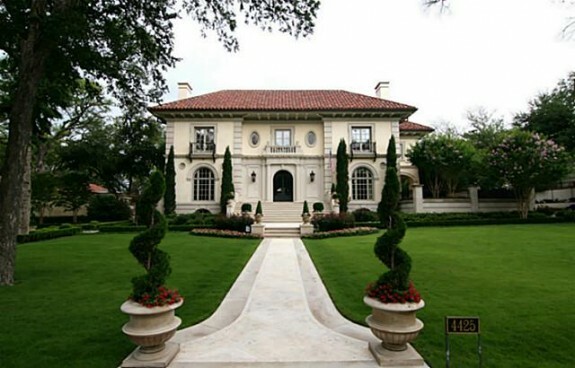 They deal in curb appeal by designing and creating some of the most distinctive properties in the Dallas area. As an example, here are a few of their projects that are on the market now and certainly have the “Wow!” factor upon arrival. Jump for some fabulous examples of perfectly executed curb appeal! There have been a flurry of closings that I am bursting to tell you all about. Stay very tuned for them to come fluttering in the next couple weeks. 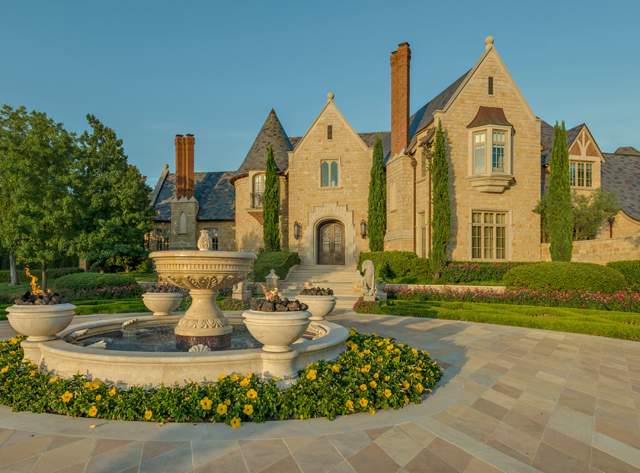 Dallas mansions are turning like my fluffiest Sunday morning pancakes. 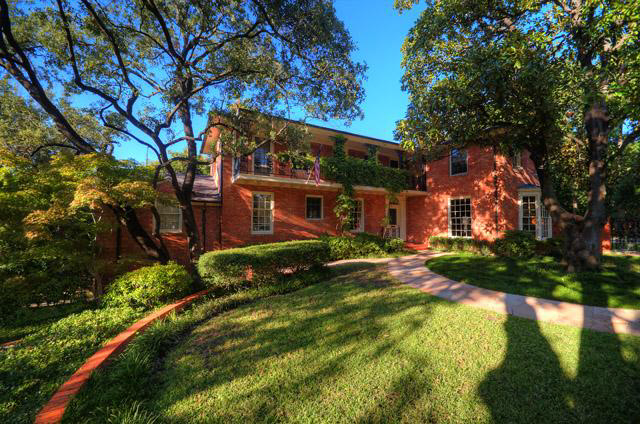 We have talked plenty about Troy’s twin property purchases in the Park Cities. But who bought his Larry Boerder-designed home on Highland Drive? They would be a MORENO, MICHEL B & TIFFANY. Deed transfer date is July 9, 2013. Now I have heard there was one other buyer lined up, so much that Troy actually called the movers and told everyone to get into action, he was moving (into a house on Lakeside)! But that deal fell through because the almost-buyer wanted more of a basement to park his vast collectible auto collection. This was right around the time Troy took the Highland home, listed for $14 million, out of MLS. “GREEN FIELD ENERGY SERVICES has become this innovator for alternative fuel and technology, by learning from those before us and creating a better and more responsible energy future for those who come after. We are in the beginning of a new era in energy, where advancements in hydraulic fracturing can open doors and give America an independence its never had before. But just Sunday, Green Field filed for protection under Chapter 11 of the U.S. Bankruptcy Code, hoping to reorganize its approximately $500 million in outstanding debt — about the same amount it lists in assets. I spoke to Leslie, and she confirmed that the guy with the Midas touch is Mike Moreno. 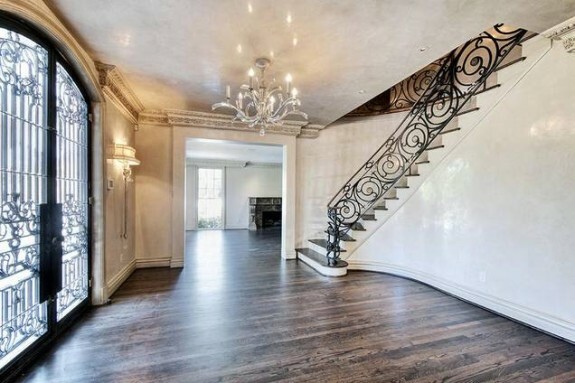 That Lafayette home is stunning. Gorgeous! 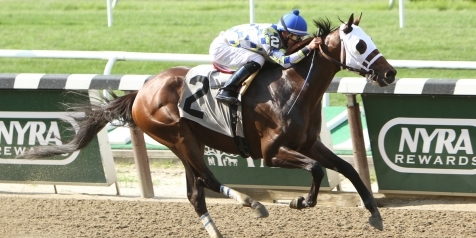 Moreno also owns a gorgeous thoroughbred and the steed, named Moreno, is racing in this weekend’s $5 million Breeders Cup. According to a source in Lafayette, Moreno also “has a major yacht and plane”. Well, duh! He also owns several companies and created a restaurant in Dallas near the Quadrangle, JoJo Eating House and Bar, featuring chef Laurent Poupart who was once his personal chef. According to the brilliant Teresa Gubbins at CultureMap, Dee Lincoln is “taking over the restaurant”. He has certainly looked at a lot of real estate in Dallas. 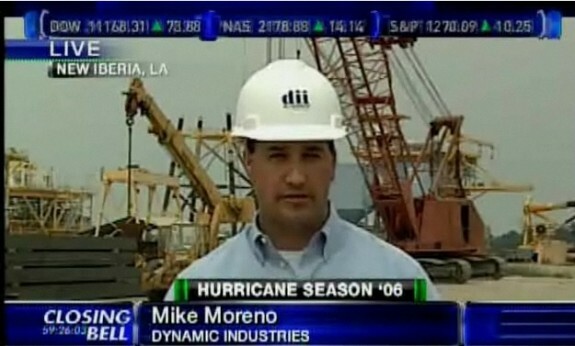 My LA sources tell me Mike Moreno is well-liked in southwestern Louisiana and is the kind of guy who always manages to make lemonade out of lemons in his business dealings. Once or twice he’s had a company in trouble, but pulled his way out. Once a company was “saved” by a hurricane. It appears this bankruptcy is going to add some folks to the unemployment list, but I’m told Green Field was a company already in trouble when Moreno bought it in 2011. He, along with a group of investors, purchased the Hub City Industries in 2011, re-named it Green Field, and increased the manufacture and use of turbine equipment in the field. Since 2011, Green Field has expanded from 75 to more than 500 employees companywide, with operating districts in Lafayette, Texas and Pennsylvania. The Wall Street Journal reports that of its Chapter 11 filing Sunday in Wilmington, Del., Green Field had $255.9 million in bond debt, an $80 million credit facility owed to Shell (the national newspaper points out that Green Field argues in court documents that Shell failed to perfect liens securing this debt, which the WSJ believes is a hint that a potential court fight could be in the making) and $98.6 million in trade debt. Green Field lost $74.6 million last year and $81.4 million so far this year. 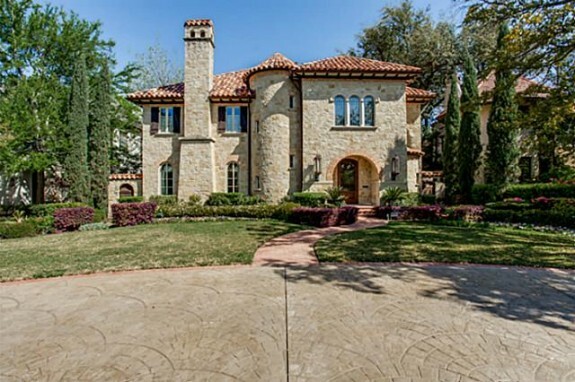 Is the guy who bought Troy Aikman’s house taking on Shell Oil? Wow. 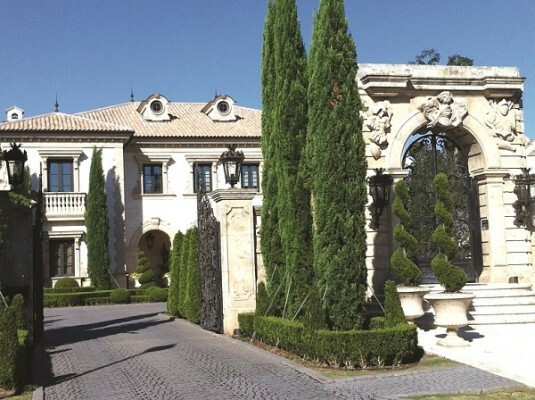 Sounds like Mike Moreno is the perfect new owner for a famous former quarterback’s mansion! 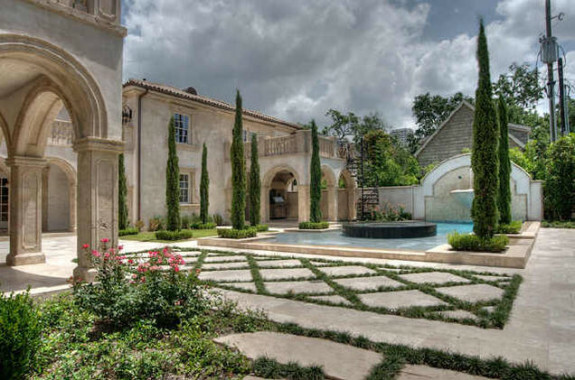 Why Is Troy Aikman Buying so Many Homes? And Which One Will He Be Living In??? Turns out that Troy closed on author/editor Jane Wolfe’s St. Johns home on August 16. The home, 4300 St. Johns Drive, was built in 1941 and has 6109 square feet. It was extensively remodeled in 1988, and Alan Peppard says Troy paid $4.3 million for the property, which I’m sure made Ms. Wolfe quite happy: DCAD has the home appraised at $3,305,170. This is yet one more home sale NOT in MLS. He bought this one month after he settled into Normandy, and though he is making some alterations on Normandy, word is he will be scraping the Wolfe home and building a new signature creation. Starchitect Larry Boerder designed the house on Highland, and I hear he was very pleased with the results. 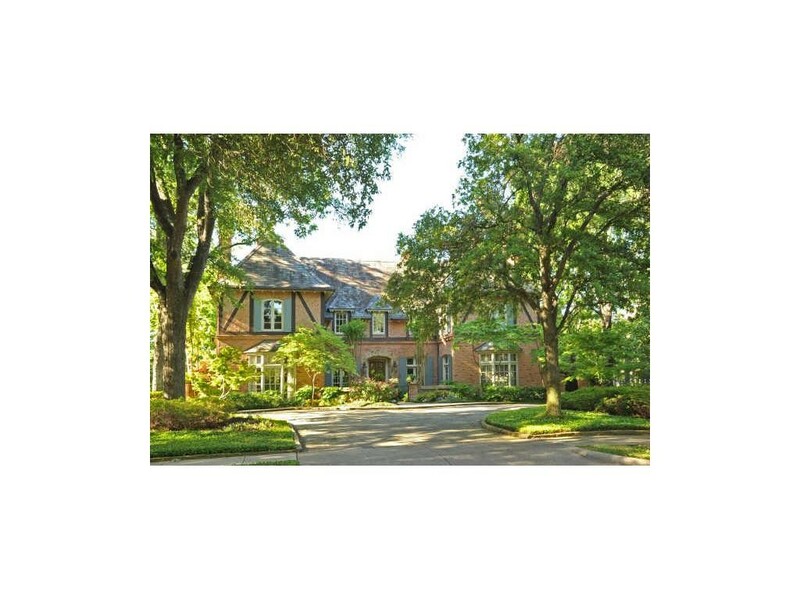 Before Aikman moved to Highland Park, he and his then-wife Rhonda lived in a Plano home built by Bob Thompson. I also hear that Aikman is the perfect client. Is St. Johns for himself or an investment? The new lady in his life? Will he stay on Normandy? Or is he just nesting there until the new home is complete on St. Johns. Or, as some claim, does he plan to get into the development of luxury Park Cities homes? A lot of wealthy Dallas movers and shakers do just that. Recall Kimberly Schlegel Whitman Homes? 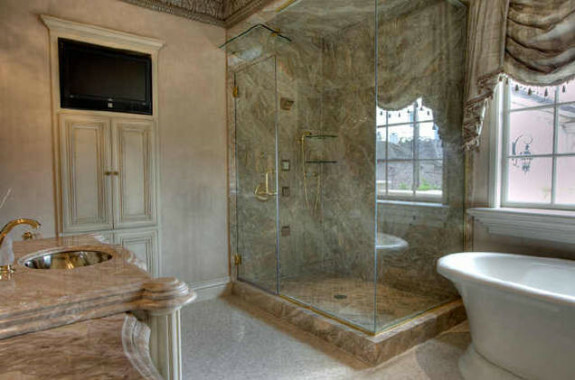 Al Hill II is a genius when it comes to building or even remodeling luxury homes. Generally, people who have basked in stunning properties all their life make excellent developers.